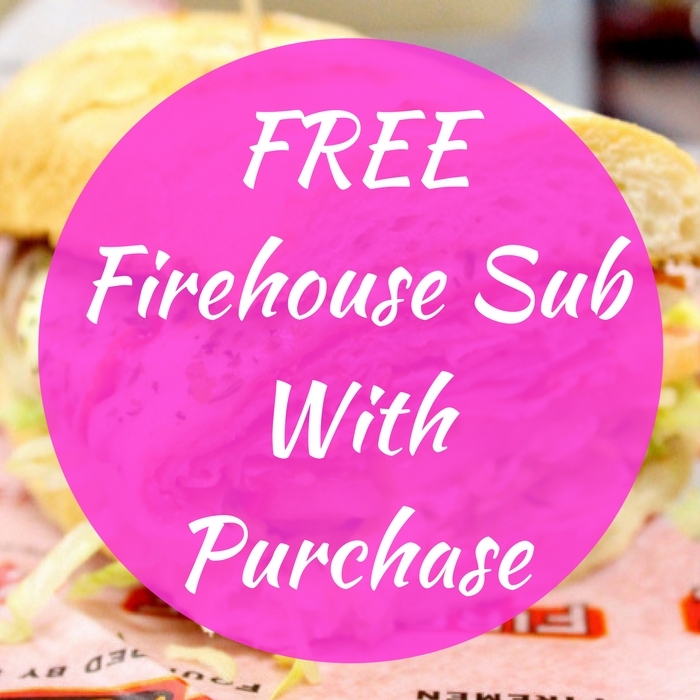 FREE Firehouse Sub With Purchase! You are here: Home / Great Deals / FREE Firehouse Sub With Purchase! On June 18 only! Firehouse Sub and participating stores will be offering a FREE Medium Firehouse Sub when you purchase one medium or large sub, side and a drink! Just show this coupon to your cashier to get your FREEbie! Make sure to check with your local Firehouse Subs to see if they are participating. It’s a great time to treat your dad!